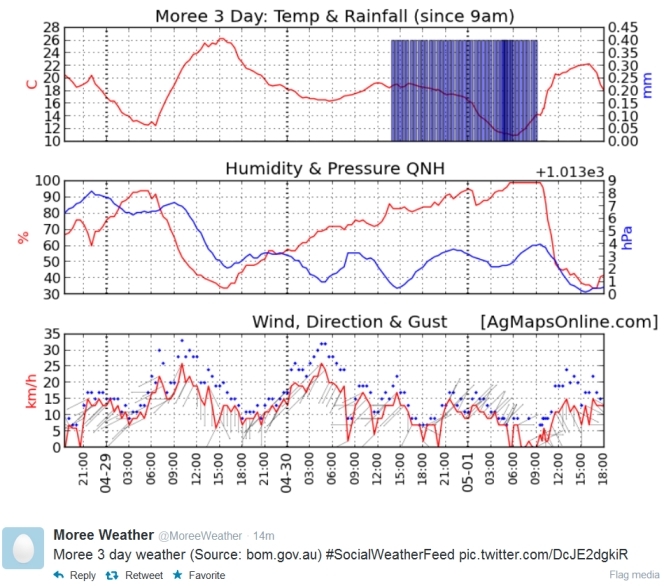 #SocialWeatherFeed allows anyone to create a Twitter account (or use your own) to give a weather update for a selected weather station in Australia. It uses BoM weather data to give text updates every 3 hours and a 3 day charted history every morning. It has taken me a while to figure out the best way to implement it and I am not sure if I have found it – but this is it for the moment. Authorise the Twitter account and you’re away!